Xbox One and Switch versions due out in April. Square Enix has released a new set of trailers for the Xbox One and Switch versions of Final Fantasy X | X-2 HD Remaster and Final Fantasy XII: The Zodiac Age, as well as new artwork by Isamu Kamikokuryo for the latter title. Additionally, both titles are now available for digital pre-order. First-print runs of the physical edition of Final Fantasy XII: The Zodiac Age will include reversible cover artwork. Improved “New Game+”: Allows users to start the game with party members at level 90 and carry over some items like weapons, magic and gils obtained during previous playthroughs. Specific to Xbox One X: Supports 60fps. Final Fantasy X | X-2 HD Remaster is due out for Xbox One and Switch on April 16, and Final Fantasy XII: The Zodiac Age is due out on April 30. Both titles are currently available on PlayStation 4 and PC, while Final Fantasy X | X-2 HD Remaster is also available on PlayStation 3 and PS Vita. Watch the trailers below. 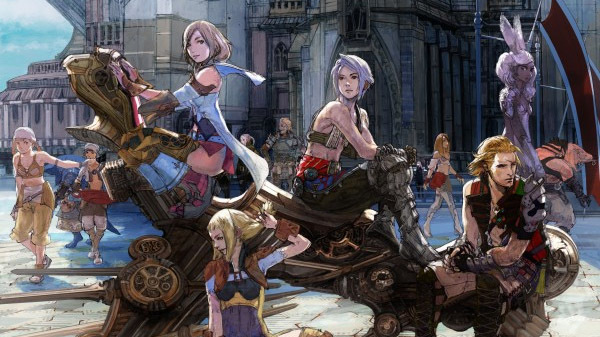 View the Final Fantasy XII: The Zodiac Age artworks at the gallery.